Why you may not want to eat library paste! When I was in the first grade, there was a kid in our class that loved to eat what we used to call "library paste." 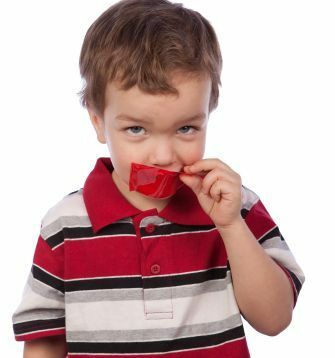 No matter how many times the teacher would reproach him, he could often be seen sticking the stuff in his mouth instead of onto his art project. If you grew up in the fifties or sixties, you probably remember those large plastic jars of thick, white paste that were found in every elementary school classroom. Once, in a classic case of monkey-see, monkey-do, I surreptitiously tried a bit of the sticky stuff and, although it tasted pretty bland and gummy, it wasn’t as bad tasting as I thought it would be. I’m sure that more sophisticated products have long since replaced that particular type of paste, but if I had been able to check the ingredients at the time, I probably would have found that it was made mostly of wheat flour and water. Obviously, my little paste loving classmate did not have a discriminating palate or a sensitivity to gluten. What Is Gluten? It's a form of protein. Even though you probably have heard the word bandied about in the media, you may not know that gluten is the protein found in many grains, including wheat, barley, rye and oats, although there seems to be some controversy about the gluten in oats. When you see this list, you will agree that, at least in the Western diet, these are some of the most common grains found in our food supply. Caveat for What is Gluten: Vegetarians who are gluten-sensitive should be aware that gluten and gluten products are commonly used in meat analogs and other meat replacement products, so read labels carefully before you buy. If you have been in a grocery store lately, you probably have noticed a new section of specialty items labeled with the words “Gluten-Free.” There you will find crackers, breads, cookies, chips and other products that have one thing in common; they are made without using any wheat flour or other ingredients that contain gluten. Since you are reading this article, you probably either have or know someone that has, gluten sensitivity or full-blown Celiac Disease also known as celiac sprue. This is an autoimmune condition where you have an inflammatory response to eating anything containing gluten. The mechanism of this disease is that the gluten causes damage to the lining of your small intestine, making it difficult to absorb nutrients. In spite of eating an adequate diet, you are literally starving to death, since your body cannot take advantage of the nutrients in the foods you are eating. The symptoms of celiac disease vary but they can include abdominal pain or cramping, diarrhea, weight loss, bone pain, anemia, weakness, bloating or bulky, floating stools. In other words, eating gluten if you have gluten sensitivity can make you pretty miserable. In addition, if you have untreated celiac disease, you are at a greater risk of developing gastrointestinal cancer or lymphoma. The good news is that once the disease is treated and the intestines heal, your risk of acquiring these kinds of cancers goes back to normal. Those who have sensitivity to gluten or Celiac Disease may also develop lactose intolerance and be unable to digest milk. Once the gluten sensitivity is addressed, you may find that this intolerance will diminish or disappear altogether. Other conditions that may develop along with celiac disease are dermatitis (itchy, burning skin rash), liver problems, joint pain, headaches, lupus, rheumatoid arthritis, mouth ulcers, dry eyes, reproductive woes and thyroid troubles. Celiac Disease can occur at any time in your life and may run in families. There is also some evidence that it can be triggered by stress, both physical and emotional. When it goes untreated, children with this disorder tend to be small for their age and undernourished. If you think you have Celiac Disease, you should see your doctor who can perform a blood test to check for high levels of certain antibodies that would indicate that your immune system is having an abnormal response to the presence of gluten in your system. Be sure that you do NOT avoid gluten foods before the test or the results may not reflect the true state of your sensitivity. Even though there is no real cure for Celiac Disease, this severe gluten sensitivity can be treated by eliminating gluten from your diet. If you avoid eating foods that contain gluten, your intestinal lining will heal up, and you will live happily ever after! Unfortunately, at least in the Western world, avoiding gluten is easier said than done. Think of the things you already ate today. If you had toast, a bagel or cereal for breakfast, you probably ate gluten. If you had a sandwich, fast food, or a salad with croutons for lunch, there was most likely gluten in the meal. If you had gravy on your mashed potatoes for supper, a TV dinner, or ate at an Italian restaurant, chances are you ate some gluten. In fact, if you ate any bread, grains or processed foods, there is a great possibility that they had gluten in them. Even ice cream and yogurt, not the most obvious sources, can have a wheat-based thickener in them. That’s the bad news. The good news is that there are still a lot of foods you can eat that do not contain gluten. I have often wondered if the recent rise in the incidence of gluten sensitivity in the Western world—four times more common today than it was 50 years ago—may be due to our increased use of refined wheat in the form of white flour and white flour products. White flour has a higher gluten content than its whole-wheat counterpart. Combine that with the fact that we eat higher quantities of food than ever before, and you have a recipe for problems. It's the gluten that gives white bread and other baked goods their light structure (Whole grains have gluten too, of course, but just not as much.) The reason I mention this here is because, even if we are not gluten sensitive, we could probably all benefit from (1) limiting or avoiding baked goods made from white flour, (2) including more gluten-free grains such as amaranth, quinoa and rice in our diets, (3) eating more fresh fruits, vegetables, nuts and seeds, not to mention lean meats and dairy products, which are naturally gluten-free and (4)cutting down on the total quantity of food we eat on a daily basis. Here is a chart that shows the most common grains that have gluten and those that are gluten-free. Amaranth - a nutritious gluten-free grain that was popular with the Aztecs in Central America;good source of the amino acid lysine, which is not usually found in grains; good source of fiber, along with some minerals and vitamins; mild and easy to digest compared to wheat. --Amaranth recipe ideas: Cook whole amaranth in water in a ratio of one cup grain to 2 1/2 cups water for about 20 minutes and serve as hot cereal or pilaf. Buckwheat – a seed-grain that is easily recognizable by its triangular shape; gluten free; may protect against heart disease, diabetes, and hormone dependent cancers; significant source of manganese; plant produces dark, aromatic honey. --Buckwheat recipe ideas: Add buckwheat to soups to improve flavor and nutrition. You can make a hot breakfast cereal using buckwheat. Buckwheat flour may be used to replace part of the flour in breads and to make pancakes. To cook buckwheat, use one cup buckwheat to 2 cups boiling water. Bring to a boil once more and then cover and simmer over low heat for about 30 minutes. Corn – grain of the maize plant that comes in many varieties; good source of thiamine(Vitamin B1); grows on a cob and the kernels are eaten off the cob or removed for eating; popped to produce a popular snack; ground into cornmeal for bread or grits; can be served as a vegetable; native to Central America; popular ingredient in Mexican food; more processed foods contain corn than any other grain, probably due to the popularity of corn syrup. --Corn recipe ideas: Corn adds texture to soups and chowders. Cornmeal can be used to make quick breads and as part of the flour in some yeast breads. To make corn-on-the cob, add (freshly-picked) shucked ears to boiling, salted water and cook for 10 minutes. If you choose to roast the corn in the husk, soak it in salt water for a few hours first, and then place over hot coals until kernels are tender. Millet – a tiny seed that has long been a staple food in Africa and Asia; good source of manganese and magnesium; should be avoided by those with thyroid problems due to its goitrogen content; major component of many commercial bird seeds. --Millet recipe idea: Millet flour can be used for part of the flour in breads. Millet can also be used as a pilaf. Heat 1 cup millet in 2 1/2 cups water and simmer for about 35 minutes. Quinoa – a tiny grain that was popular since ancient times in South America; one of few plant foods and the only grain that is a complete protein; available in red and white varieties; good source of manganese, magnesium and iron; gluten free; used to make gluten-free pastas. --Quinoa recipe ideas: Use instead of bulgur in cold salads. Cook like oatmeal as a hot cereal or mix with oatmeal. Be sure to rinse quinoa in cold water to remove any traces of the bitter coating on the seeds. Boil 1 cup of quinoa in 2 cups water for about 15 minutes. Rice – the most popular grain in the world, since half of the world’s population relies on rice as a staple of their diet; good source of manganese, selenium and magnesium; comes in long-grain, short-grain and round varieties, as well as brown and white; white rice has the bran and germ removed; basmati rice is a fragrant and flavorful white rice. --Rice recipe ideas: Rice is a great addition to soups and loaves. Click here for Lentil Soup recipe. Click here for Baked Vegetables recipe. Teff – the tiniest grain in the world; used since ancient times; popular in Africa for making bread; gluten-free so can be used in place of wheat for gluten-free cooking; tan to chocolate brown in color; distinctive flavor; good source of calcium, iron, copper and thiamine (Vitamin B1); may be used as a thickener for soups and stews. Wild rice – the dark-colored, rice-like seed of fresh-water grasses; grows naturally in northern lakes of North America; popular with northern Native American cultures; good source of niacin, folic acid and magnesium. Interesting Fact for What is Gluten: Although it is called “wild rice,” it is actually not rice at all and much of the wild rice we eat is not wild at all, but cultivated. Connoisseurs will tell you that the wild-growing, hand-harvested wild rice is far superior in flavor to the cultivated and often hybridized varieties. --Arrowroot flour, Buckwheat flour, Corn flour, Potato flour, Rice flour, Sorghum flour, Soy flour, Tapioca flour, and various flours made from legumes. Keep in mind that because these flours do not have gluten and it is generally the gluten that gives that familiar structure to baked products, you will need to experiment to see which flours or combinations of flours work best for your particular application. Caveat for What Is Gluten: Any of these grains and flours can be contaminated with gluten, if they are processed in the same facility or with the same equipment as wheat or other grains containing gluten. You will need to check labels for an advisory statement about possible gluten contamination. As an added precaution, you can contact the food company to make sure that their products are truly gluten-free. The chart above shows the obvious grains that you will need to avoid if you are sensitive. However, there are many products that may contain gluten by another name. 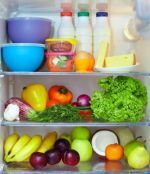 Many packaged soups, salad dressings, lunch meats, some cheeses and cheese spreads, ketchup, candies, soy sauce, frozen dinners and even non-dairy creamers may be hidden sources of gluten. Keep in mind that this is just a partial list of the most common hidden sources of gluten. Keep in mind that the best way to insure that your diet is gluten free is to eat fresh, unprocessed foods that you prepare yourself using ingredients and products that you know for sure do not contain gluten. As mentioned before, when you have Celiac Disease, your small intestine becomes inflamed, and you will have difficulty absorbing nutrients from the foods you eat, particularly fats. This means that over time you may become deficient in Vitamin A, Vitamin D, Vitamin E and Vitamin K,the fat-soluble members of the vitamin family. Since these vitamins are vital to your good health, a deficiency can lead to the symptoms listed above, and ultimately, to serious health problems. You may also have low levels of iron, which could leave you feeling tired and weak. --See your doctor for a blood test and diagnosis to see if you actually have Celiac Disease. --Educate yourself about gluten and start reading labels and learning the hidden sources of gluten. --Check out the “Gluten-Free” section at your grocery store and become familiar with companies whose products are reliably gluten-free. --Find some online sources for gluten-free products that you can try. --Visit the websites of your favorite restaurants to find out the ingredients in the foods they serve, or ask to speak to someone at the restaurant who will know for sure how the foods are prepared. --Look for some gluten-free recipe ideas that will teach you how to make some of the foods you like that would normally have gluten, such as bread and other baked products. --Try some of the grains listed above that do not have gluten, both in whole and flour form. --If you are recovering from prolonged symptoms of gluten intolerance, you may want to take a vitamin/mineral supplement, at least until your nutritional status improves, to help offset the deficiency caused by the disease. --Include an abundance of fresh, unprocessed foods in your diet such as fruits, vegetables, seeds, nuts, lean meats, plain yogurt, and healthy fats. I began this page with a story about a kid who had a strange predilection for library paste. Although paste is certainly a bizarre snack choice, and I don't recommend eating it, when you consider the ingredients in many of the foods that are on the grocery shelves these days, a little wheat and water doesn’t seem so bad - that is unless of course you are gluten sensitive! I wonder if there is any gluten in mudpies?? Click here to go from What is Gluten page to Healthy Grains page.